Steve Cameron: Science Fiction & Fantasy Author: Sherlock Holmes Down Under. 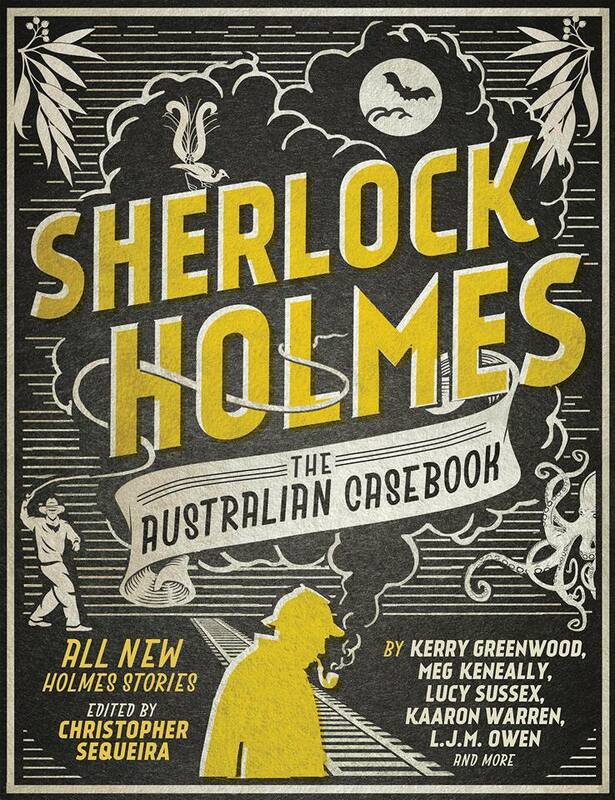 I've had to keep this one under my (deerstalker) hat for a while, but I'm thrilled to announce my inclusion in this fantastic anthology. 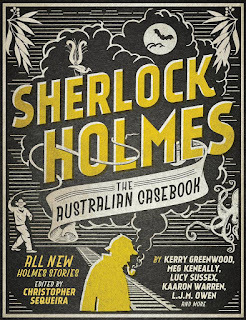 'Sherlock Holmes: The Australian Casebook' is due for release later this year. Edited by Christopher Sequeira, this collection includes stories by some fantastic authors. I am privileged to be alongside so many great names, including Lucy Sussex, Kaaron Warren, Kerry Greenwood, Lindy Cameron, L.J. M. Owen and Narrelle Harris. The development of this project took quite some time, and I'm indebted to Chris for his determination to see this book published. The cover is fantastic, and I can't wait to see the internal illustrations. Keep watching this space for further details closer to its release in November through Bonnier/Echo.